Bringing the popular burgers to south London, Honest Burgers Tooting is the seventh branch from Tom Barton and Phil Eles. With other branches in Soho, Camden, Kings Cross and Brixton - where the original was opened back in 2011 - the no-frills chain specialises in top quality hamburgers and chips made with all British produce and meat supplied by the Ginger Pig. The menu is simple but well executed, with a handful of beef burgers, a chicken burger and a veggie burger available, as well as regular specials and sides such as rosemary salted chips and onion rings. Honest Burgers Tooting gyms, sporting activities, health & beauty and fitness. 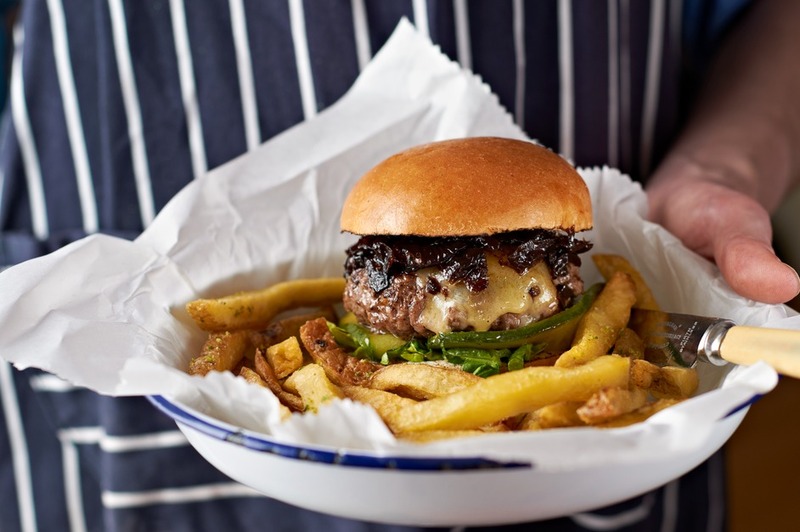 The best pubs near London Honest Burgers Tooting. Honest Burgers Tooting clubs, bars, cabaret nights, casinos and interesting nightlife. Where to have your meeting, conference, exhibition, private dining or training course near Honest Burgers Tooting. From cheap budget places to stay to luxury 5 star suites see our discounts for Honest Burgers Tooting hotels, including Radisson Blu Edwardian Sussex Hotel from 71% off.